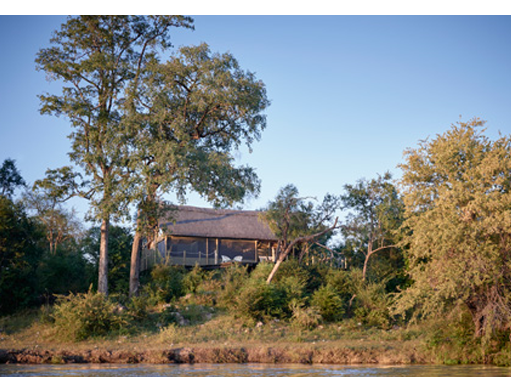 Is the closest game park to Victoria Falls, with breathtaking game and bird viewing in camp from each secluded luxury tent. High quality designed kitchen. 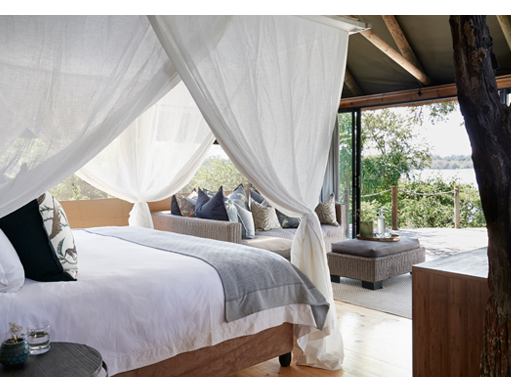 · 5 Twing/King Luxury Tented Family Suites with adjoining children’s room. 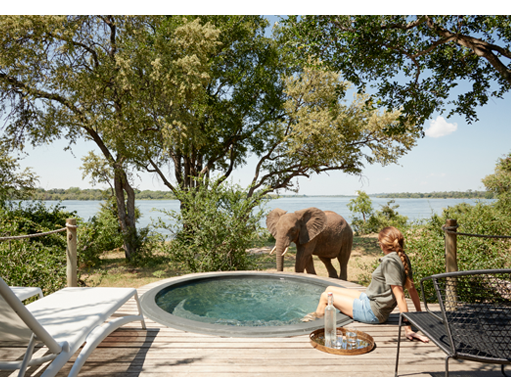 · Each tent has it’s own private plunge pool and a private deck overlooking the legendary Zambezi River with spacious bedroom and sitting areas. Open plan bathroom with free standing bath and indoor & outdoor showers with separate W/C. All Tents have air conditioning and ceiling fans. Mosquito nets and repellent available in every room. Spacious open plan dinning and lounge areas. Rim-flow infinity swimming pool. Information and activity booking facility. Free wifi in public areas. Expansive bar area with panoramic river views, Toa Spa revitalising body mind and soul. 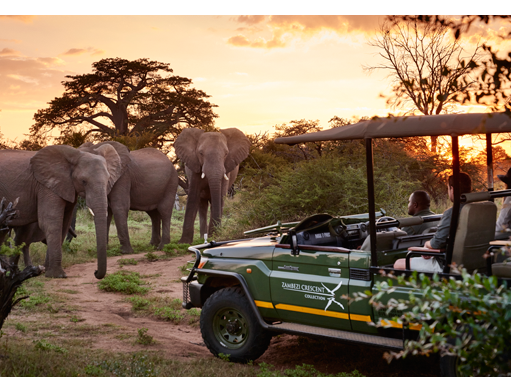 Guided game drives into the Zambezi National Park. Game viewing from own tent. 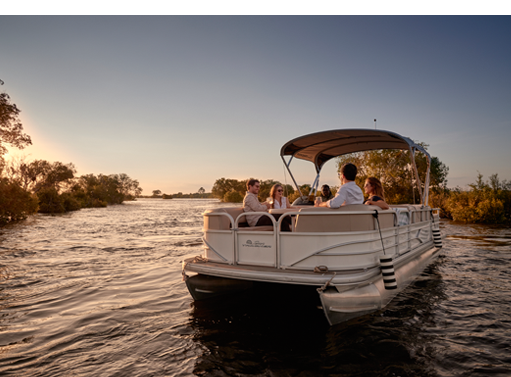 Guided sunrise/sunset river cruises on the mighty Zambezi River. 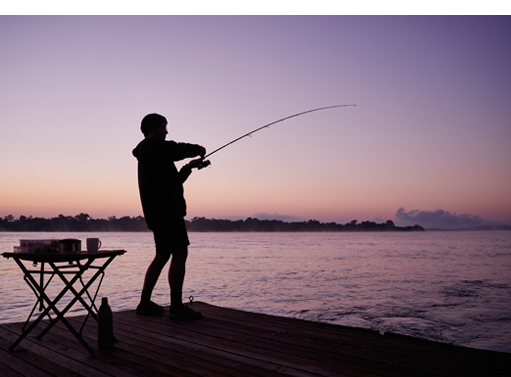 Birding, Canoe Safaris, fishing safaris, guided walks with qualified guides into Zambezi National Park (all optional extra). Helicopter flights over Victoria Falls, Whitewater rafting on the mighty Zambezi River, Ziplining & Canopy Tours. Arts and Crafts shopping in Victoria Falls Town. Bungee Jumping and Bridge Swinging. (All activities may be arranged upon request).